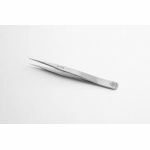 Professional stainless steel tweezers. Non-Magnetic, Acid Resistant. Compare our pricing and features to the competition and you will see the value in the Xytronic tweezer line. Purchase a Xytronic 3C-SA Soldering Accessory sold by Howard Electronics Today!